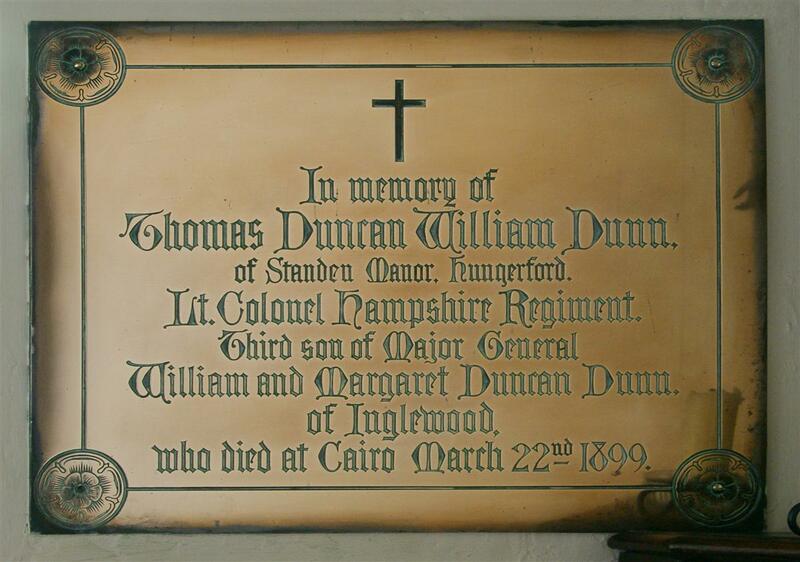 In memory of / Thomas Duncan William Dunn, of Standen Manor, Hungerford. / Lt Colonel Hampshire Regiment. / Third son of Major General / William and Margaret Duncan Dunn, of Inglewood, who died at Cairo March 22nd 1899.